It's already established that Brad Mehldau is one of the most intriguing pianists of our time. But piano isn't his only instrument. On Largo, his new Warner Bros. release, he plays much more than the keys. He plays with space -- the universes of non-sound that lie between each note. He plays with our sense of what jazz is, or should be -- or whether it's right to even think in terms of labels at all. Largo, you see, means more than "slow," which is how musicians interpret the word when they see it on a page of notation. It also translates from Italian as "large" or "spacious." In this sense it's the perfect title for these multi-layered performances, in which simplicity and complexity, the clear and the enigmatic, circle in shadows of sound and rhythm. Throughout Largo Mehldau's playing -- adventurous yet understated, abstract yet richly emotional -- threads through landscapes that change with each track. Here, in "When It Rains," an assembly of horns sounds dolorous, mournful chords, a Greek chorus, behind Mehldau's explorations. On "Sabbath" the piano mutates into a sonic monstrosity, roaring through a storm of electronics. And on "Dear Prudence" a Beatles classic evaporates to its essence, fragile and intimate, like a simple cameo framed in patterns of lace. But -- think "layers" again -- there's another meaning, in that the groundwork for this project was laid in a place called Largo, a nightclub in L.A. where the two key players on this album first crossed paths. Jon Brion, one of the most highly regarded "insider" musicians in L.A., was a fixture at Largo. His weekly sets at this West Hollywood venue drew musically informed listeners and musicians, many of whom would sit in. For nearly a full year Mehldau, then an L.A. resident attended these shows, digging Brion's musicianship and the creative energy he put out, before introducing himself and being invited to sit in as well. "I had an immediate response on so many levels to the music he was doing," Mehldau remembers. "I felt an empathy with his romanticism, that heart-on-your-sleeve quality that he has as a musician, of really putting out a lot of vulnerability. The other thing that beckoned to me was a great intellectual quality. He was doing so many great things from a head point of view -- the kinds of things he got into when he produced Largo." Mehldau credits Mark Flannagan, the owner of Largo, for bringing him and Brion together on this project. "It was really Mark who put the idea in our heads," Mehldau says. "Maybe I had a passing thought, like, 'Wow, it would be amazing to do something with this guy.' But Mark was the one who suggested it and pushed pretty hard. He kept on mentioning it, over maybe a year's time, until we finally got on the phone and started figuring out how to do it." It was, on paper, an odd pairing. From his Warner Bros. debut in 1994, Mehldau has worked in a jazz milieu, through his own albums and as a guest or collaborator with Lee Konitz, Joshua Redman, Charles Lloyd, and other giants. Brion's world is offbeat pop, with credits that included production work for Aimee Mann, Fiona Apple, Rufus Wainwright, and eels. But these differences only fed their mutual respect and their common interest in taking musical risks, beginning from their first day together in the studio. The resulting collection recorded live, using innovative microphoning techniques and audio tricks, needed no overdubbing or post-production enhancements. "I kept my writing more simple than usual," Mehldau explains. "I didn't want the harmony to get too complex, because I didn't know what sort of situation I was walking into." I wanted to leave things open, so they'd be malleable. That was a good pre-judgment, because when we got the studio things went in so many directions." As an example, Mehldau points to "You're Vibing Me." "I wrote that on the floor in the studio," he says, "while Jon spent a couple of hours setting up this wacky environment, with a treated piano, two bass players, and two drummers miked very strangely. We had this weird lounge-jazz sound in our headphone mix, which immediately suggested the idea for that song as I wrote it. That often happened: The sonic environment that Jon set up, the sounds of the instruments as well as the actual instrumentation, would suggest something very clearly to me." Working together to keep the emotional level of the music intense, Brion and Mehldau took many chances. The piano sound was electronically mutated, at times beyond recognition; microphones were moved into highly unorthodox placements; small groups of horn players were brought in; Brion himself added different textures from his Chamberlin keyboard treated guitar, and prepared Mehldau's piano in different ways. One method was to place putty on the lower strings of the instrument, giving it a strange marimba-like quality. Jon Brion called on two musicians with strong creative credentials, legendary session drummer Jim Keltner, and the younger Matt Chamberlain, both drummers who are known for their deep groove and versatility. Mehldau brought the talented, versatile acoustic bass player, Darek Oles, whom he met in LA and has played with over the years. He also included the players in his regular trio in the proceedings - bassist Larry Grenadier and drummer Jorge Rossy. Welcome surprise guests on the session were electric bass player Justin Meldal-Jonson and drummer Victor Indrizzo, who have played together in Beck's band for the last couple years. Indrizzo was one of the first musicians Mehldau met in LA. It was all over in six days -- a blink of an eye by pop standards, an eternity if measured by Mehldau's in-and-out, jazz blowing approach. "Usually for me it's two days tops, if that, for an album," he admits. "But for me, this was an incredible learning experience. It'll make recording very different for me in the future, just to know that the kinds of options that Jon exposed me to are there. With knowledgeable people like Jon, the recording studio can become this exciting laboratory. That's how I felt with him; it was like being with a mad scientist." 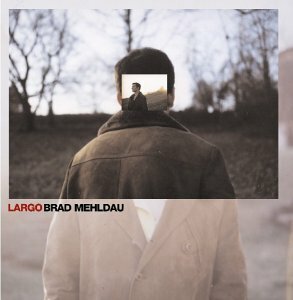 From nights long ago at a Hollywood club to a set of music unlike anything else in his catalog, this is Brad Mehldau's story of Largo -- a story that's still only beginning and just may change the way other artists tell their stories for years to come.